A librarian at Auckland Museum has shed a little bit of light on the possible origins of the “island that isn’t there”. The difficult-to-eradicate Sandy Island, which isn’t in the Coral Sea between Australia and New Caledonia, drew attention last week when an Australian scientific expedition sailed to the chart-marked location to find open ocean. As Vulture South noted at the time, the latest voyage seemed to replicate an “undiscovery” of the island in 2000 by a group of radio amateurs. 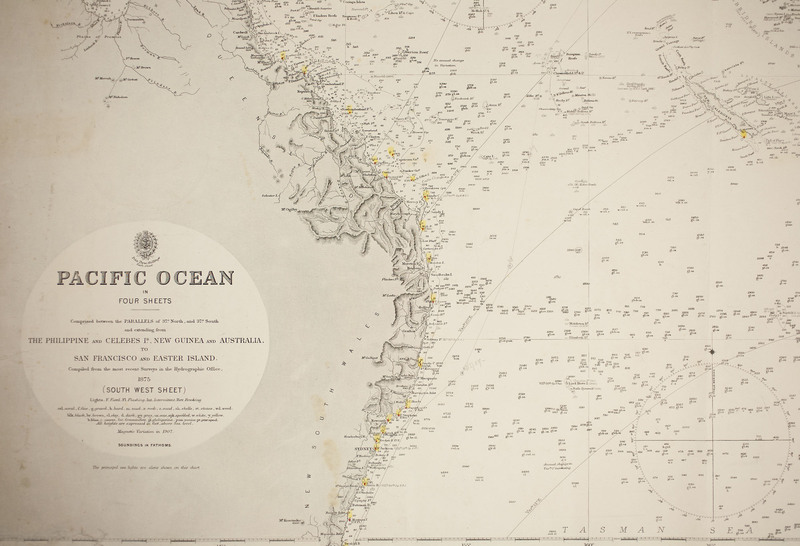 Auckland Museum’s Greg Meylan writes that a pictorial librarian at the institution, Shaun Higgins, has located a 1908 edition of a Pacific Ocean chart first compiled in 1875 that seems to be the earliest in the museum’s collection to record Sandy Island. “Caution is necessary while navigating among the low lying islands of the Pacific Ocean. The general details have been collated from the voyages of various navigators extending over a long series of years. The relative position of many dangers may therefore not be exactly given”. The Register expects the next move for historians will be to try and work out whether Velocity’s logs are preserved anywhere, to see if the vessel mis-recorded an island it encountered, or merely compiled an earlier error into its maps. Auckland Museum has images of the chart in its Flickr account, here. It's easiest to spot the island on this 2000x1600 image. To do so, click on the link above, click on the resulting image to enlarge near the northern tip of New Caledonia. Next, cast your gaze about 7cm to the left, and 1.5 cm up. You'll soon see Sandy Island to the right of Brompton Reefs. The discovery of the older chart seems to put paid to one theory for the presence of the island on online maps, that it was a digitisation error.